Do you love FREEBIES? Did you know there are tons of great freebies you can sign up for online, most of which are ongoing offers that never go away? Many people hesitate to sign up for online freebies, because it’s frustrating trying to figure out which ones are legitimate and worth sharing your personal information. 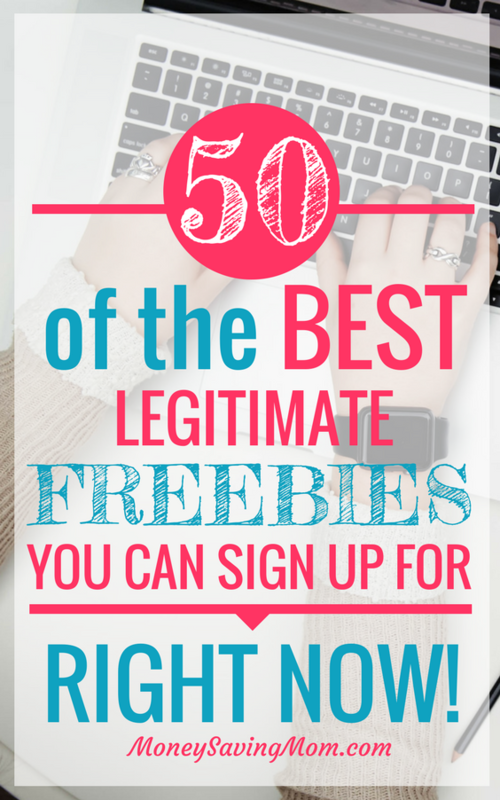 That’s why I decided to round up this HUGE list of freebies that are 100% legitimate! 1. 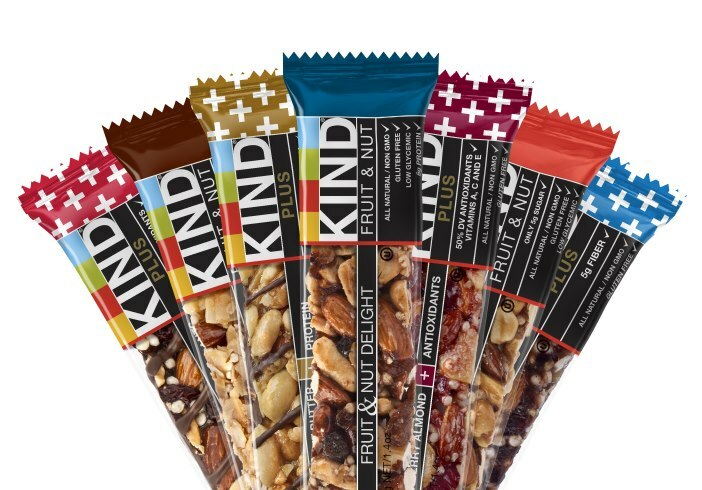 Free KIND Bar Sample — Send a KIND bar to a friend! Just click on the “Send a a Kind Snack” and then follow the prompts. 2. Free Full-Size Beauty Products Each Week — Sign up with Toluna for your chance to try new full-size products each week. All you have to do is qualify, and they’ll send you the FREE full-size product to review! The freebies are almost always brand new beauty products from high-end brands about to hit the market. 3. Free 40-Count Box of o.b. Tampons — Just fill out the simple form to see if you qualify for this full-sized freebie. 4. Free Ella’s Kitchen Lil’ Foodies Club Starter Pack — get a free starter pack that includes a $1.50 off coupon, a wall chart, stickers, and more. 5. Free IHOP Meals — Sign up to get e-mails from IHOP, and you’ll receive three free meals: one immediately, one on your birthday, and one on your sign-up anniversary. 6. 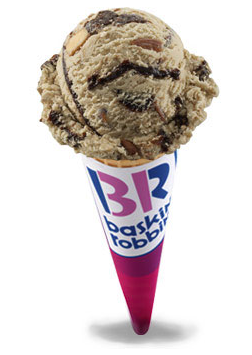 Free Scoop of Baskin Robbins Ice Cream — Simply download their mobile app to get a FREE scoop of ice cream! 7. Free Packet of Lettuce Seeds — Pledge to share some of your harvest with a local food pantry to sign up for this fun freebie. 8. Free Kids’ Kindle eBook — Just sign up for the free Amazon kids’ newsletter, and you’ll be able to select one of three eBooks to receive for FREE! 9. Free Kindness or Thank You Cards — Either choose the printable version or fill out a form to have printed cards mailed to you. 10. Free printable Bible Detectives Adventure Kit — Fill out the short form to download this free printable kit for your kiddos! 11. Free Real Simple Magazine Subscription — Sign up for RewardSurvey, take a quick survey to earn $30 in points, and trade them in for this free magazine subscription. 12. Free NeilMed Sinus Rinse Bottle Kit — Just click on the button to request your freebie, follow the prompts to continue, and fill out the form to have it mailed to you. 13. Free Box of Samples Every Month at PINCHme — Sign up for PINCHme and watch for their Freebie Tuesday once a month! It goes live at Noon EST, and they run out quickly. But if you can grab one, it’s a HUGE box of freebies!! 14. Free LEGO Life Magazine Subscription — Sign your child up for a free subscription to LEGO Life Magazine. It’s packed with activities, building tips, comics, and more. 15. Free Pizza Hut Cheese Sticks — Sign up for Hut Rewards and you’ll immediately receive your first reward for a FREE order of cheese sticks! 16. 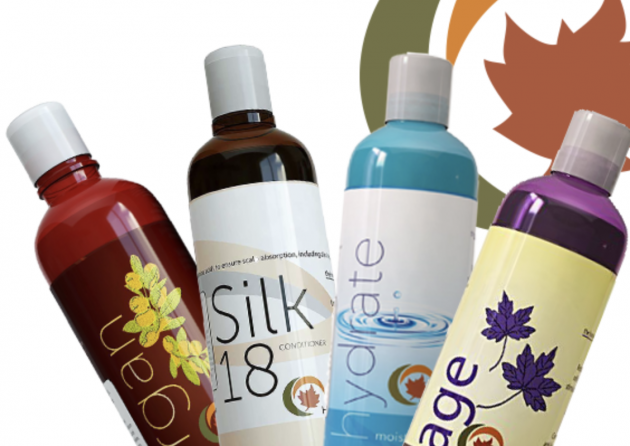 Free Maple Holistics Hair Care Sample — Just fill out the form, choose your preferred product, and your freebie will be mailed to you! 17. Free Atkins Quick Start Kit — It also comes with $5 in coupon savings. 18. Free Survival Food Samples — Fill out the brief form to get your samples mailed to you. 19. Free eBook Deals — If you’re a big eBook reader, definitely be sure to sign up for BookBub to get updates on the latest FREE and cheap eBooks. 20. Free Tena Sample Pack — Just answer a couple questions and fill out the form. 21. 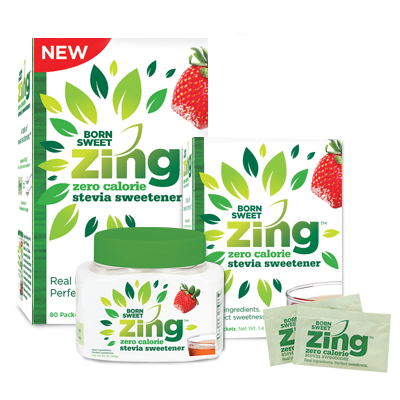 Free Born Sweet Zing Stevia Sweetener Sample — Fill out the form to sign up for this freebie. 22. Free Cinnabon Roll — Join Club Cinnabon and get a coupon for one free Minibon Roll! 23. Free Breathe Right Nasal Strips Sample — Trouble with snoring? Just fill out the form to get this one sent to you. 24. Free Peet’s Coffee Beverage — Download the Peet’s Coffee app and sign up for Peetnik Rewards, and you’ll get a free beverage of your choice! You’ll also receive a free beverage on your birthday. 25. Free QuikTrip Drink — Download the app to get a free drink at QuikTrip. 26. 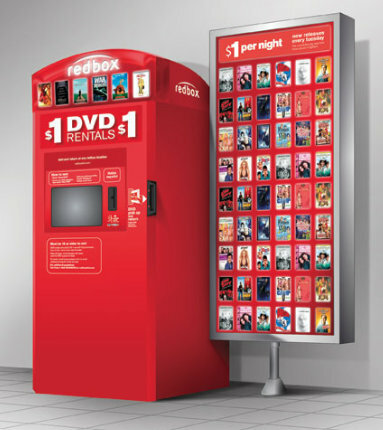 Free Redbox DVD Rental — Just download the Redbox app for the first time, make sure you have Redbox notifications turned on, and check back within an hour for this freebie deal. 27. Free Marble Slab Ice Cream — Get a free scoop of ice cream when you download their mobile app. 28. Dunkin Donuts Coffee — Get a free beverage when you sign up for their rewards program. You’ll also get a freebie on your birthday! 29. Free Truvia Natural Sweetener Sample — You’ll have all kinds of sweeteners to sample! Here’s another! Just fill out the form. 30. Free Kelly Moore Paints Color Sample Quart — Fill out the form to receive a coupon for your free quart of paint. It’s valid at participating locations in select states. 31. 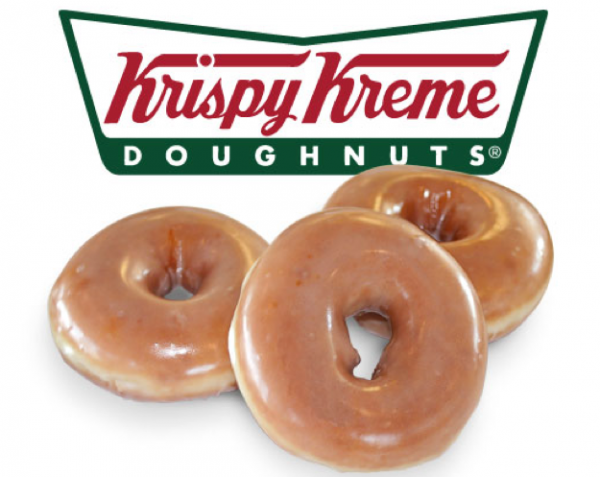 Free Krispy Kreme Glazed Doughnut — Download their app, sign up for Krispy Kreme Rewards, and you’ll immediately receive a reward for a free doughnut. You’ll also get a free doughnut on your birthday! 32. Free LEGO Life App Download — Download this popular kids’ app with no in-app purchases. 33. Free Classic Burger at Back Yard Burgers — Sign up for the Back Yard Burgers e-mail club to receive a free back yard classic burger. 34. Free Olay Regenerist Whip Face Moisturizer — Fill out the short form to get this free sample sent to you! 35. Free Chili’s Chips & Salsa Every Visit — Join My Chili’s Rewards to score free chips & salsa on every visit! 36. 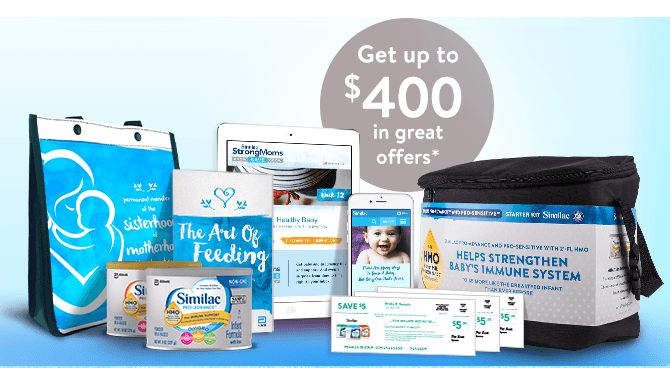 Free Similac Formula — Sign up for Similac StrongMoms to get free formula samples and coupons. 37. Free Enfamil Formula — Sign up for Enfamil Family Beginnings to get free formula samples and coupons. 38. Free American Baby Magazine Subscription — Sign up for a one-year subscription to American Baby magazine. 39. Free Panera Bakery Treat — Get a free bakery treat when you sign up for MyPanera Rewards. 40. Free Corner Bakery Cafe Cookie — Get a free cookie when you sign up for the Corner Bakery Cafe e-mail club. 41. Free Goodie Box — Sign up with Daily Goodie Box for your chance to get a HUGE box of FREE goodies sent your way! It’s random, but I’ve already received two free boxes since I signed up! 42. Free Huggies Diapers Sample — Just pick out your product and size, and then fill out the simple form. 43. Free Apps for Kids — Every Friday, Smart Apps for Kids posts a HUGE list of free educational and fun apps for kids! Some of them are high-value apps, too. 44. Free Schlotzsky’s Sandwich — Get a free small original sandwich when you download the Lotz4Me mobile app. 45. Free Enfamil Enfagrow Sample — Sign up for a free sample of Enfagrow Toddler Next Step. 46. 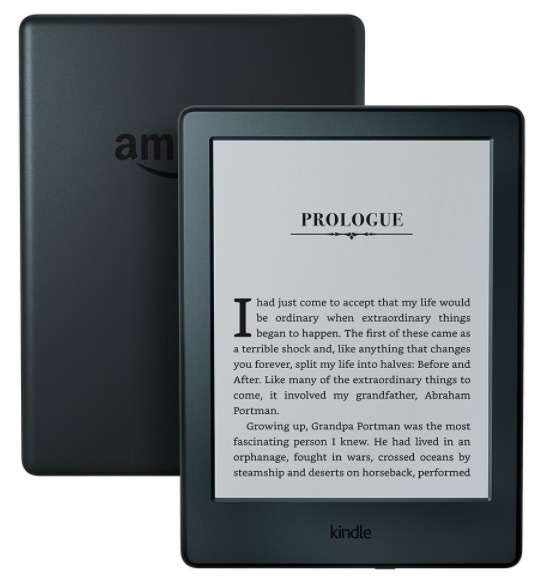 Free Amazon eBooks — Did you know there is a HUGE list of free eBooks you can get on Amazon each day? Just check out the list, and be sure to browse by category to find exactly what you’re looking for! 47. Free LivRelief Pain Relief Cream Sample — Just fill out the short form to get this sample delivered to your home. 49. Free Target Welcome Baby Box — Just create a baby registry to get a free welcome box from Target. 50. Free Quiznos Sub — Download their Toasty Points app to get a free 4-inch sub sandwich! Looking for even more FREEBIES? 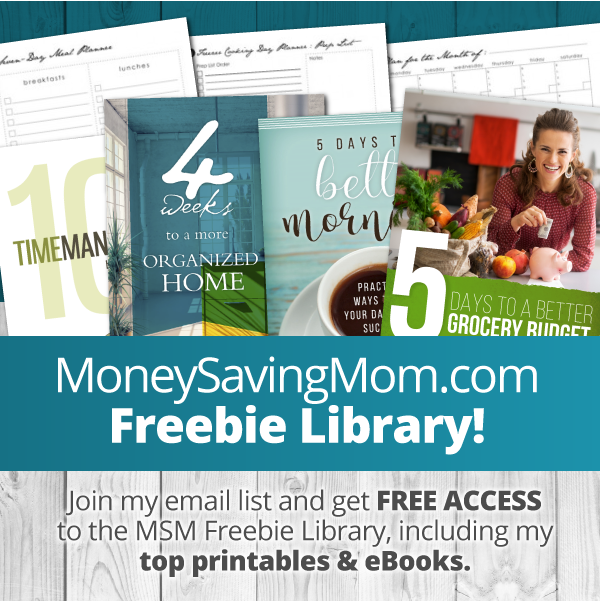 Sign up for my e-mail list and you’ll get FREE access to the entire MSM Freebie Library! It includes printables and eBooks for home management, time management, grocery budgeting, meal planning, and much more. Huggies is only valid in Malaysia?! The Wal-Mart baby box is not free, you have to pay shipping. Also, they’ll mail you a different box every so many moths, but you have to pay $5 shipping. 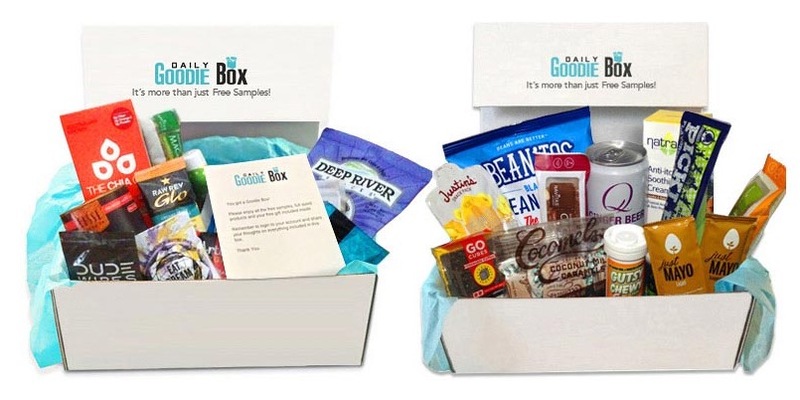 Goodie box has never sent me anything and I’ve been signed up for almost a year. The Build Your Disney Family link is giving a “403 – Forbidden: Access is denied.” server error message. Also Toluna is a survey site – they used to occasionally send out products/new snacks to test &keep in exchange for doing surveys about them, but haven’t for ages. Unless they’ve got better than they’ve been for over a year, there’s no point signing up – you mostly get screened out of the surveys or your completed survey points never credit ; it take far too many points to claim any actual rewards; and last year saw many complaints of them not sending out the promised vouchers. (Also if you don’t logo in regularly enough they wipe your points balance). The Chili’s free chips and salsa does not work…..